If you’re considering buying life insurance, you may get overwhelmed by all your options and may not be familiar with the technical terms and language used to describe different policies. You will of course want the best policy for the price you can afford but may also wonder how much coverage is enough. Before buying life insurance, remember these 11 important considerations. 1. Understand the difference between term life and whole life. Term life needs to be redeemed before the end of the term of the policy, which is usually 20 or 30 years. Whole life stays in force, as long as premiums are paid, indefinitely. A term life policy can typically be renewed if it’s not redeemed by the end of the policy but your premium price may change at that time. 2. Your health matters. You can find life insurance with multiple sclerosis or other health conditions, but these factors will affect your policy. In many cases, serious health concerns will put you in a high risk group and you may pay more for insurance. Insurance companies have the right to ask for health exams before offering a policy. Health concerns that may affect your insurance include hypertension, obesity, and a history of strokes, among others. 3. Your habits matter. Smoking can also put you in a high risk group for life insurance. This too affects your health and your overall longevity. Other habits that can put you in a high risk life insurance class include dangerous activities like skydiving. 4. Your age matters. Getting life insurance over 50 can be difficult, as your age can also put you in a high risk category. Because your longevity is more limited, you won’t have as much time to pay on your insurance as you would if you started the policy in your 30s or 40s. It’s always good to lock in a rate when you’re younger if possible, but if you haven’t, you can still find a policy to suit your needs no matter your age. 5. You need adequate coverage. Your life insurance should cover final expenses and allow your family to care for themselves after you’re gone, at least for enough time until they can be financially independent. Only you can determine the right amount of coverage, but consider all your daily expenses including mortgage and car payments, other insurance policies including medical and auto, groceries, utilities, and costs such as these. 6. Don’t overpay for coverage you don’t need. It can be tempting to think that you need a million dollar life insurance policy, but of course the higher your coverage, the higher your premium. Providing this type of amount for your family can give them a nice nest egg if something should happen to you, but you do need to be practical about how much insurance you actually need. 7. Ask tough questions. Don’t be afraid to ask your advisor about any policy you’re considering. Is it non-cancelable? What are the exclusions? Is there an accidental death rider? You need to know these things before you buy. 8. Buying Life insurance should be simple. Yes, it can be difficult to sort through all your options and understand all the jargon, but you want to avoid assuming that you need complicated riders and clauses to get the coverage you need. Keep your policy simple and if it’s enough to cover your needs, you shouldn’t be concerned about much else. 9. Understand about riders. There may be some riders you want to tack on to your policy, but you don’t necessarily need every rider offered to you. Do your research and only choose what suits you and that works for your policy. 10. Keep your policy for protection and not for investing. Be cautious about borrowing against your policy or cashing it in early for any reason. Remember the reasons for buying life insurance in the first place and keep it safe. 11. 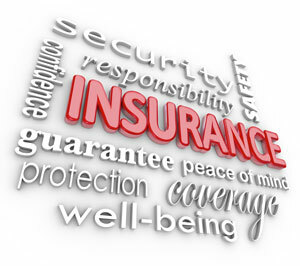 Compare policies and quotes before buying life insurance. As with anything else you purchase, you should compare policies and quotes so you get the best deal and the best coverage at a rate you can afford. You should also never assume that you cannot get a policy because of your health or age or any other factors. Comparing is especially important if you’re in a high risk group.